Instead of sending fresh flowers alone, have you thought about changing things up and gifting an arrangement with succulents? These beauties are long-lasting and require very minimal care. Your loved one won’t be disappointed! Succulent plants originated in regions of Africa. The thick leaves allow them to store water more comfortably than any other flower or plant, making it easier for them to survive in dry areas. They symbolize timeless love and are a perfect addition to bridal bouquets and reception centerpieces. 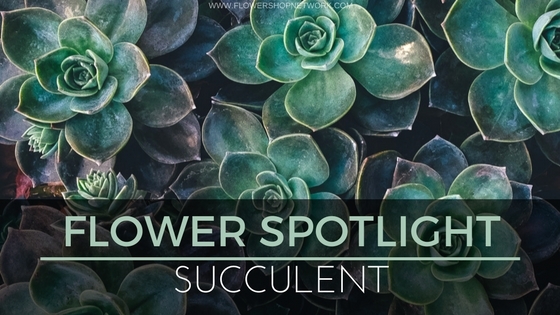 Succulents are known as “fat plants.” This is due to the thick, fleshy parts of the plant. 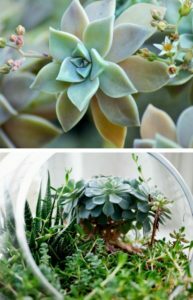 Succulents come in a variety of shapes, sizes, textures, and colors. They are easy to care for and highly versatile when it comes to gift-giving. Your options truly are endless! You can have your local florist design a bouquet using a mix of succulents with other flowers, or simply order a dish garden that showcases their timeless beauty. We’re sure you’ll fall in love with this magical plant!